Riverton chiropractor Dr Alan Le loves providing chiropractic care for people of all ages, from newborns to grandparents. He has a special interest in posture, sporting & workplace injuries, pregnancy care, and has the most updated knowledge of research in looking after acute and chronic lower back pain, neck pain, headaches, hip pain, sciatica and any other issues that might be linked with your spine. Get to know Dr Le and how he can help you by booking a complimentary consultation with him today. 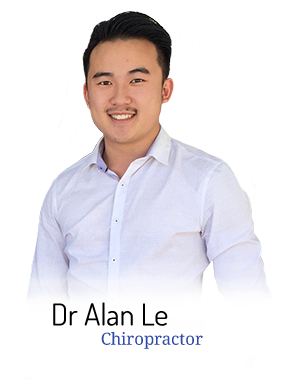 Call (08) 9259 1114 or contact us online to book your complimentary consultation with Dr Alan Le today!